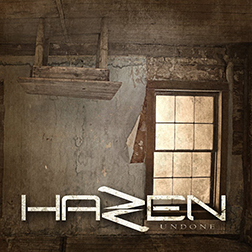 Get your own physical copy of the new Hazen EP "Undone"! Featuring a professionally mastered audio CD and sleeve featuring album art and track list. You can also choose to have it signed by all of the band members! For international orders, please add $5 donation to cover shipping. 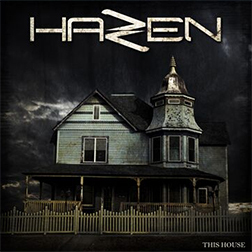 Pre-Order your own physical copy of the new Hazen EP "This House"! Featuring a professionally mastered audio CD and sleeve featuring album art and track list. You can also choose to have it signed by all of the band members! For international orders, please add $5 donation to cover shipping. Help keep Hazen rocking! 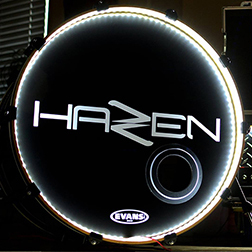 We accept donations to help Hazen continue to play and produce. This removes the shrink wrap. Order your own Hazen black tee, featuring the Hazen name on the front and logo on the back. 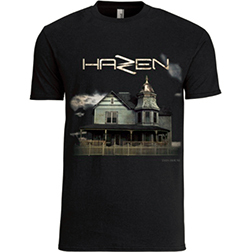 Order your own Hazen "This House" EP black tee, featuring the album art on the front. 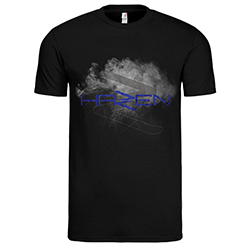 Order your own Hazen "Smoke" themed black tee, featuring the Hazen name and logo on the front. Order your own Hazen "The Storm" themed black tee, featuring the Hazen name and graphic on the front. 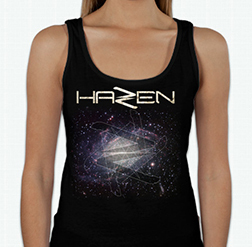 Order your own Hazen black tank, featuring the Hazen name and logo on the front. 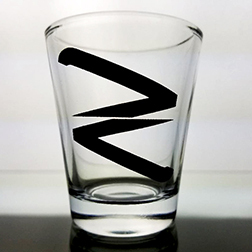 Order your own Hazen shot glass, featuring the Hazen logo!